Christmas shopping in Leeds yesterday; it’s a great city to shop in. I find shopping on line no fun at all. Although I did a bit of Christmas shopping it was mainly to begin to provision for New Year as it is Petronela’s birthday (so ‘open house’ in accord with Romanian tradition) on New Year’s Eve (Revelion for Romanians, and as big a celebration as for the Scots) and we have Romanian friends coming to stay. 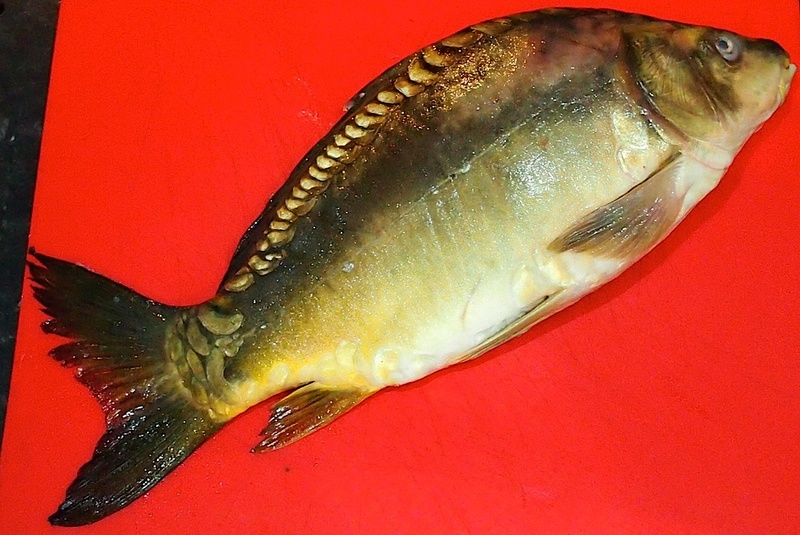 I was delighted to find crap (unfortunately, in the UK, Romanian for carp) in Leeds Kirkgate market. This will make a great centre piece for New Year’s eve dinner so I’ll roast it whole rather then the more usual cut into steaks. Not so handsome as salmon but, in my opinion, far better tasting. Lots of mujdei (garlic sauce). Bought some things from Marinela’s Romanian shop in the market but I’ll be back next week for kaiser (cured pork), carnati tiganesc (cured ‘gipsy’ sausages), salam Sibiu (a superb dry Romanian salami) and salam Victoria and some Romanian wines. We’ve got through four of the stouts and porters from The Wharfedale Beer Club so far. Top for both of us so far is an ‘old’ Yorkshire one brewed originally for the Russian Imperial Court – Samuel Smith’s (Tadcaster) ‘Imperial Stout‘ (7%). The only fault is it comes in a 355ml bottle whereas the 500ml bottle of the others is far better for sharing. ‘Vanilla Porter‘ (4%) from Hebden Bridge and ‘Dragonhead‘ (4.5%) from Orkney come a close second – difficult to split them on taste; I marginally prefer the Scottish, my wife the Yorkshire. We were not too impressed with the Hazelnut Coffee Porter (4.6%) from Saltaire – rather light and without the depth of taste of the other three. Mmmmm delicious post 🙂 I did giggle at the crap/carp found in Leeds Market. Enjoy your festivities! 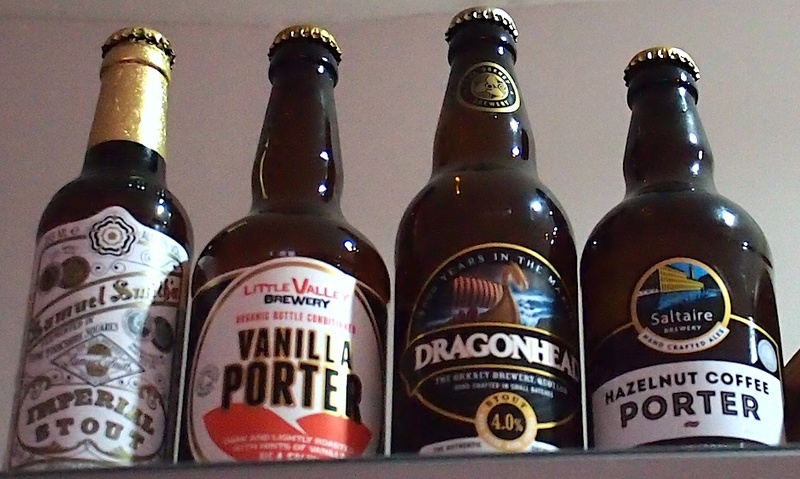 I must try that Vanilla porter, I love Porter, and Orkney can do no wrong in my eyes so must look out for Dragonhead. All the best! Thanks for the comment Jennie. I see you have a recent poem I haven’t had time to read yet – perhaps later over another porter! By the way, I was delighted to eventually see something from you when I ‘came back’ as at first it seemed you hadn’t been posting for a while so I hoped you were OK. Have a great Christmas and New Year.